SIZZIX-Tim Holtz Alterations: Embossing Diffuser. 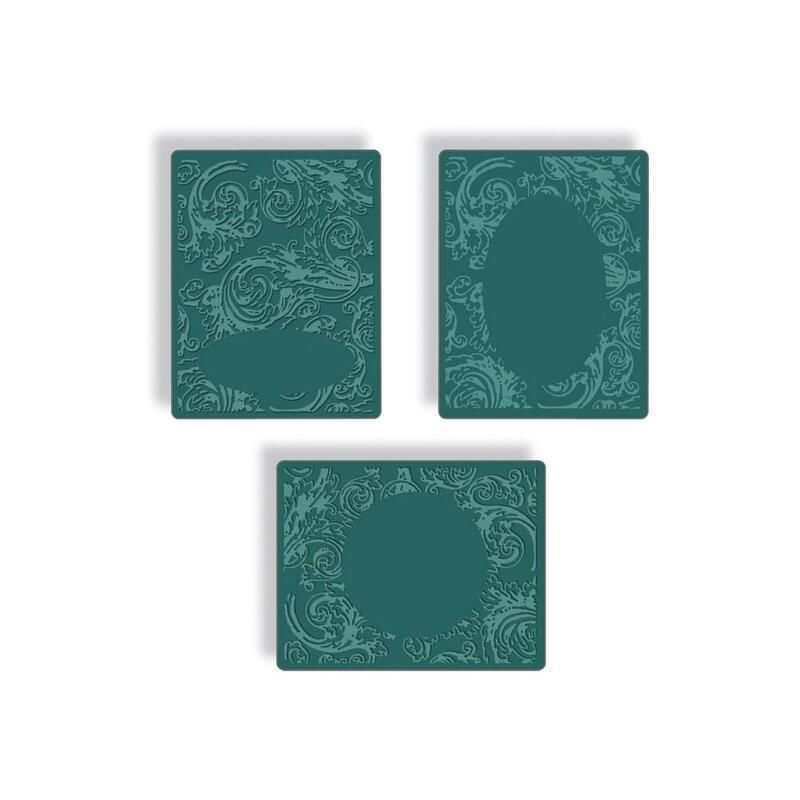 This set of Embossing Diffuser templates allows you to either remove or add a portion of the impressed texture design of Texture Fades, Texture Trades, or Textured Impressions folders. Simply sandwich the Embossing Diffuser templates as directed to create either perfectly smooth areas within a textured background or a small textured area within a larger smooth background. The templates are made from high- quality see-through ABS plastic and are compatible with the Sizzix BIGkick, Big Shot, Texture Botique and Vagabond machines (not included). 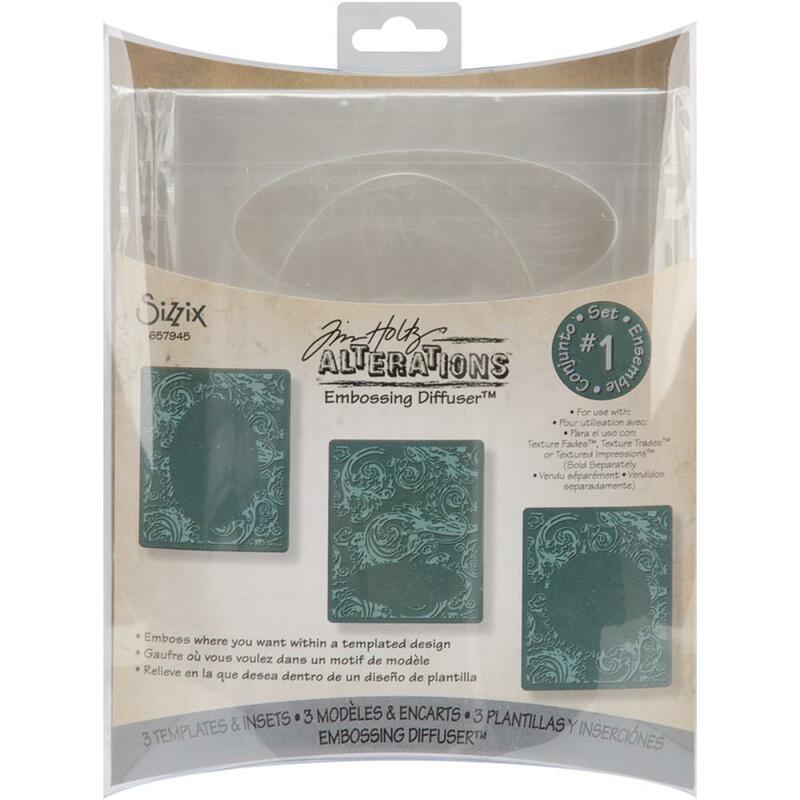 This package contains Embossing Diffuser Set #1: a set of three templates with matching inserts. All texture embossing folders and machines sold separately.